Portrait of Aloysius Martin Wickliff, Sr. Courtesy of the Houston Chronicle. Image available on the Internet and included in accordance with Title 17 U.S.C. Section 107. WICKLIFF, ALOYSIUS MARTIN, SR. (1921–2012). Aloysius Martin Wickliff, Sr., attorney and civil rights activist, was born in Liberty Texas, on October 11, 1921, to Edward and Ellen (Ozan) Wickliff. He received an early education in the public schools of Liberty before attending Prairie View A&M College (now Prairie View A&M University). While matriculating at Prairie View, Wickliff participated in the ROTC and subsequently served in the United States Army during World War II. After receiving an honorable discharge from the armed services, Wickliff, a Catholic, entered the law school at Catholic University of America in Washington, D.C., graduated in 1949, and became a member of the District of Columbia Bar in 1950. Aloysius M. Wickliff being sworn in as a practicing attorney before joining the law firm of Dent, King, Nowlin and Wickliff. Courtesy of the Liberty Vindicator. Image available on the Internet and included in accordance with Title 17 U.S.C. Section 107. When Wickliff returned to Texas in 1950, he faced the choice of practicing law in Liberty or in Houston, but he decided on Houston because he thought that he would achieve greater success in starting a practice there. He engaged in the practice of law from 1952 to 2000 with the law firm of Dent, King, Nowlin and Wickliff and was a general practitioner of civil, criminal, and family law. In 1955, unable to join the Houston Bar Association, Wickliff and his fellow African-American attorneys organized the Houston Lawyers Association to address issues affecting minorities. Later he served as president of that association. 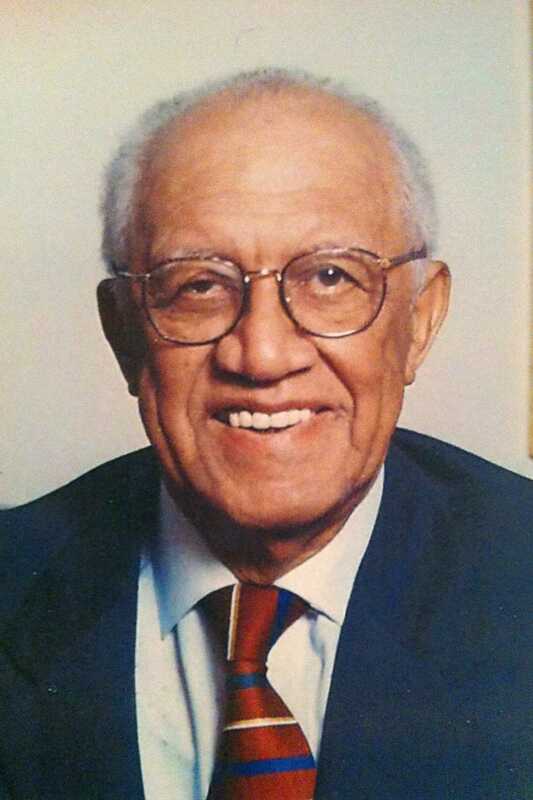 While practicing law in the early 1950s, he also served as an associate professor of law at Texas Southern University. Wickliff engaged in many civic, community, and political activities. By so doing, he worked with student activists, future lawyers and judges, and politicians. In 1960 when Texas Southern University students staged sit-in demonstrations to integrate eateries in downtown Houston, Wickliff was called upon by Mayor Lewis Cutrer to be a member of the Biracial Committee to come up with a solution. This committee consisted of two sub-committees—a majority committee headed by Leon Jaworski and a minority committee, the Citizens’ Relations Committee, chaired by Aloysius Wickliff. Wickliff’s committee prevailed as the city of Houston decided to integrate various public places. For several years, Wicklifff was president of the Harris County Council of Organizations (an umbrella group of civic and community organizations) which has political influence in the city of Houston and Harris County. He was also a member of several boards of directors, including Houston Area Urban League, Eliza Johnson Home for Aged Negroes, Tejas Finance & Investment Company, and Texas Southern Finance Corps. Wickliff, an influential mentor for aspiring lawyers and politicians, served as the campaign manager for Barbara Jordan during her successful run for the Texas Senate, as well as the United States Congress. Wickliff died in Houston on December 13, 2012. His funeral Mass was celebrated at Our Mother of Mercy Catholic Church in Houston, and he was buried in Houston Memorial. Gardens. His wife, Mary Elizabeth Wickliff, had preceded him in death in 2004. He was survived by son A. Martin Wickliff, Jr.
Thomas R. Cole, NO Color Is MY Kind: The Life of Eldrewey Stearns and the Integration of Houston (Austin: University of Texas Press, 1997). Houston Chronicle, December 16, 2012. John H. Tucker, “CUA Honors Six Outstanding Alumni,” CUA Magazine (Fall 2006) (http://publicaffairs.cua.edu//cuamag/fall06/features/awardees.htm), accessed May 22, 2013. Handbook of Texas Online, Merline Pitre, "WICKLIFF, ALOYSIUS MARTIN, SR. ," accessed April 24, 2019, http://www.tshaonline.org/handbook/online/articles/fwide. Uploaded on June 4, 2013. Modified on August 1, 2017. Published by the Texas State Historical Association.